The program is a partnership between the Geelong Cats, AFLNT, East Arnhem Regional Council and Miwatj Health giving young players opportunities and pathways not only in football but in life. The program also assists in building capacity for coaching and other roles around local leagues. Geelong Cats star Steven Motlop and Academy Coach Paul Hood attended the launch. 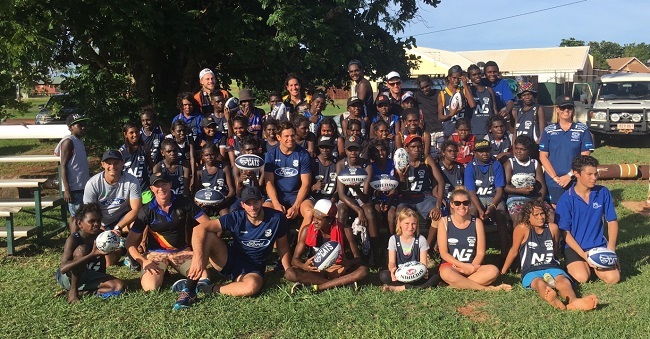 The roll out of the Next Gen Academy aligns with other football and youth engagement activities in the region that have been supported by the Northern Territory including the Cyclone Recovery Football Carnivals, oval upgrades at Yirrkala and Galiwin’ku and the development of an under 16s Gove AFL competition.